St. Vincent Pallotti’s foundation had a very remarkable history. 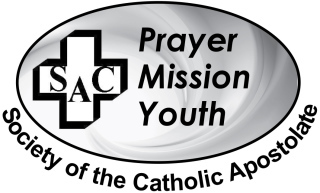 Having all people united as apostles of Christ was the dream of St. Vincent Pallotti and from the beginning this group took on a new form of an “Association” and immediately in 1835 it received the approval of the competent ecclesiastical authority. It is a community, which unites priests, religious, lay people and takes the name “Catholic Apostolate”. This community started many new initiatives answering to the many needs of the Church (Foreign Missions, Local Missions, Retreat Work) and in the city of Rome (evening schools, a soup kitchen, orphanage – Pia Casa di Carità, etc.). But the new ideas soon met with suspicion, many people could not understand his ideas and Vincent Pallotti had to defend his vision and his foundation again and again. After his death the name of his foundation was changed into “Pious Mission Society” and there remained only the community of priests and brothers and the community of sisters. But the members of these communities never forgot that the idea of Pallotti was more than their present realization. Now, in the new millennium, St. Vincent Pallotti's idea has become a living reality again. On October 28, 2003, the Union of the Catholic Apostolate received the official approval and blessing of the universal Church from the Pontifical Council of the Laity. This happened only after much study of St. Vincent's charism and reformulation of their individual guidelines by the various Pallottine groups that have continued to hold St. Vincent as their founder. Hence, the reason for the name -- Union of the Catholic Apostolate. And we are simply -- men and women, lay, religious and priests -- working together for the glory of God and working to spread the name of Jesus while fostering His love among all peoples. "Can you pray for the salvation of others? Pray… You will be an apostle. Can you encourage your neighbor to do good? Then encourage them! This is what I mean by Apostolate." The Mother of God Province has three UAC groups. Please click on the names of the groups listed below to learn more about them.